VILLA IN LAHARI GREEN PARK. KONDAPUR. HYDERABAD . VILLA IN LAHARI GREEN PARK.KONDAPUR. 325 SQ Y--W/F--3200 SFT--3.00 CR. 325 SQ Y--W/F--4600 SFT--3.25 CR. 325 SQ Y--E/F--4600 SFT--3.25 CR. 320 SQ Y--W/F--4500 SFT--3.00 CR. 340 SQ Y--N/E--4500 SFT--3.20 CR. 350 SQ Y--E/F--4600 SFT--4.50 CR.FULLY FURNISHED. 350 SQ Y--E/F--4600 SFT--4.00 CR.SEMI FURNISHED. VILLAS IN PEARL VILLAGE,NEAR KONDAPUR--HYDERABAD. 320 SQ Y--EAST FACING--3500 SFT--3 CR. 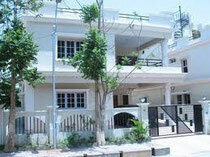 VILLAS IN LUMBINI SLN SPRINGS, NEAR KONDAPUR--HYD . very serious buyers only may contact--+91 9848169502. FULLY FURNISHED--READY TO MOVE IN.